Craven Community College will celebrate Women’s History Month with guest speaker Adrian H. Wood, Ph.D., from noon until 2:00 p.m. on Monday, March 19, 2018. Wood, is known for her nationally recognized blog ‘Tales of an Educated Debutante”, is a North Carolina native and mother of four children, one of whom has special needs. Her writing mixes an advocacy for education, children with special needs, and other women’s concerns with a southern style of humor. 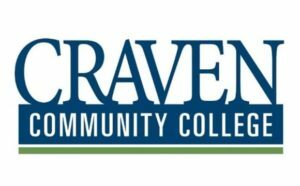 Craven Community College’s Diversity Committee invited Wood to provide an enrichment opportunity for students, staff, faculty and the community at large. The event is free, open to the public and will be held in Orringer Auditorium, located on the College’s main campus at 800 College Court. For more information about this event, contact Sandy Bayliss Carr at 252-638-4755.